This is a list of federal and state programs that provide information on disability-related information on benefits, law, services, education, and accessibility. 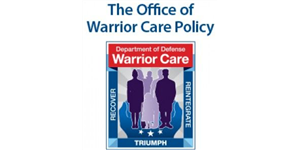 The Office of Warrior Care Policy aims to connect Wounded Warriors, Service Members, Veterans, their families and caregivers with those who support them. It provides access to services and resources at the national, state and local levels to support recovery, rehabilitation and community reintegration. Visitors can find information on a variety of topics including benefits & compensation, education & training, employment, family & caregiver support, health, homeless assistance, housing, transportation & travel, volunteer opportunities and other services & resources. For help on how to find resources on the site, visit the How to Use this Site section of the NRD.